Fashion Can be a Pain in the Back! Did you know that your fashion choices impact your back health? It is fairly common for some women to experience back and neck pain due to fashion trends. 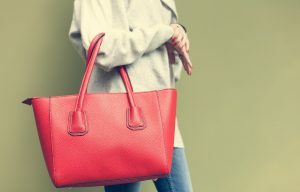 Large handbags, high heels, backless shoes, tight clothing, and other style choices contribute to discomfort. While trendy shoes and oversized bags look beautiful, they may harm your body mechanics. If you suffer from back pain and are looking for a chiropractor in Middle River, Dr. Neil Cohen at Comprehensive Spine & Sports Center in Essex can help. High heels give an unstable posture that results in compensatory muscle firing causing discomfort and fatigue. Similarly, heavy purses results in uneven weight distribution across your back and may even restrict blood flow at the shoulder. Here are some useful suggestions to help you avoid back pain and keep your posture in check while staying fashion forward. Be mindful of the purse you carry. Avoid carrying heavy, big bags. Regularly check to see if there are things you can take out of your bag, so you can eliminate the extra load. Should you opt for heels, don’t wear them every day. Instead, incorporate more comfortable shoes, flats or shoes with a lower heel, to give your back and feet some relief. Additionally, instead of opting for stilettos, go for chunkier heels and wedges that offer much-needed support. Always take your back and neck into consideration anytime you’re choosing the latest fashion trends. Are you experiencing back pain that doesn’t seem to go away? A chiropractic or physical therapy treatment program may help immensely. At Comprehensive Spine and Sports Center, our staff will thoroughly examine you to diagnose the specific cause of your pain so as to create an effective treatment plan. Dr. Neil Cohen will develop an individualized treatment to help reduce your back and neck pain. Contact us today to schedule your consultation and learn more on how you can prevent your back pain from getting worse, as well as preventing future back pain.